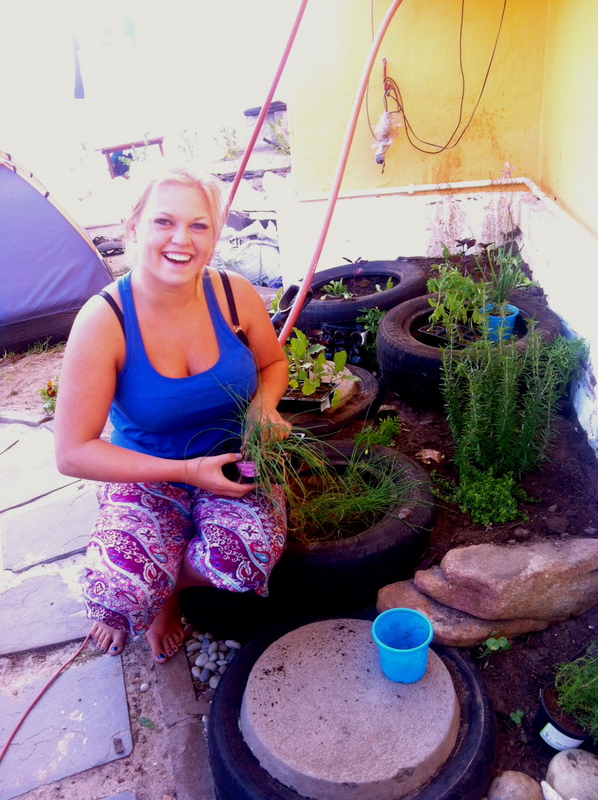 Home » Latest news » Guests help our garden grow! Helping hands from guests like Matilda from Sweden are wonderful contributions that will last for a long time. Thank you Matilda (she is also our resident songbird, and shares her beautiful singing voice around our lovely home)! Now we have herbs, veggies, and fruits growing for guests and staff like rosemary, basil, chillies, nasturiums, granadillas, sweet potato, spring onions and wild garlic. More to come! We recycled old tires and transformed then into wonderful planters and harvest rainwater to feed this beautiful growing garden. Now to fertilise with our home-made compost and worm tea!